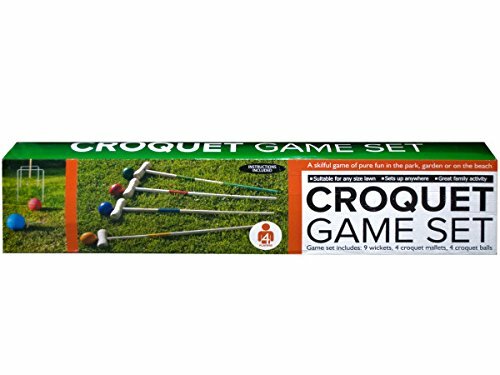 Perfect for playing on lawns, gardens, parks and beaches, this 19-piece wooden croquet game set features high quality wooden pieces for long-lasting play. Set includes: 4 mallets, 4 colored balls, 9 wickets and 2 goal stakes. For two or four players. For ages 3 and up. Instructions included. Comes packaged in an individual box. If you have any questions about this product by Kole Imports, contact us by completing and submitting the form below. If you are looking for a specif part number, please include it with your message.